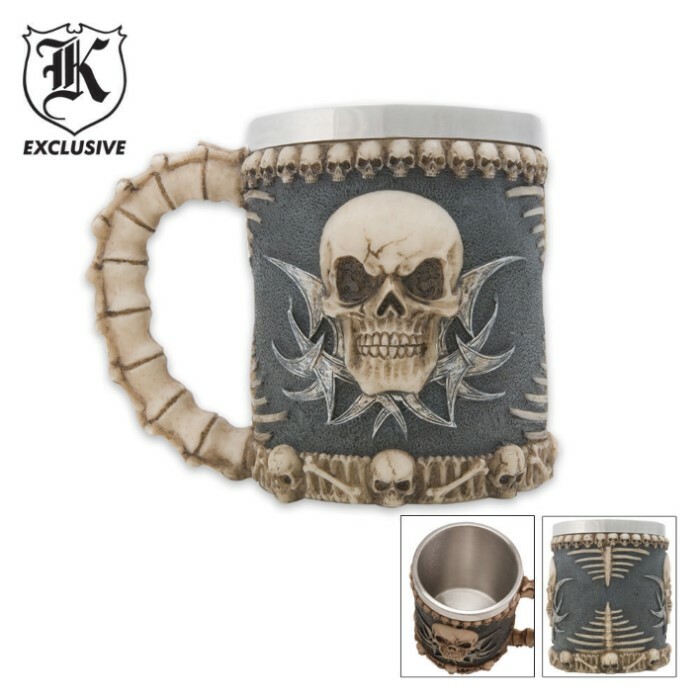 Enjoy your beverage in this tankard! This cool drinking tankard features an intricate design of tribal skulls. 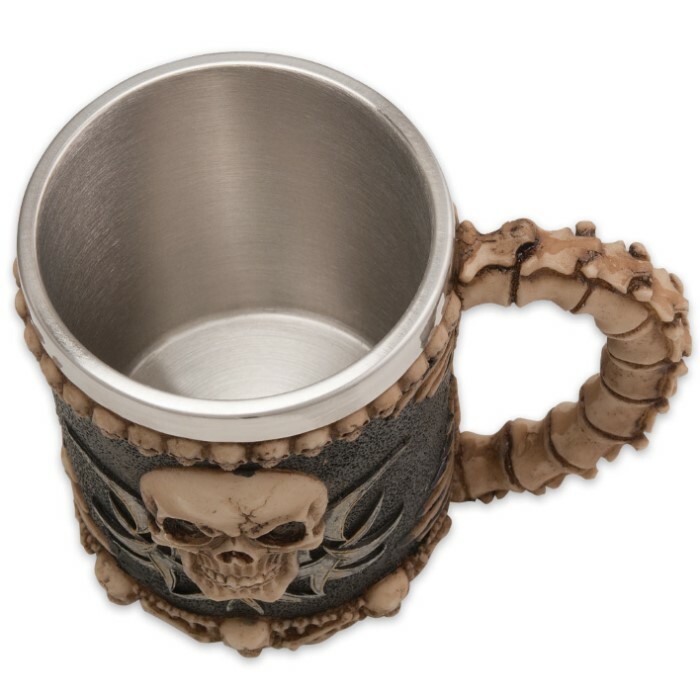 The stainless steel inner liner helps keep your drink cool. Measures 4 1/4 in. tall x 7 in. wide and 3 1/4 in. in diameter. 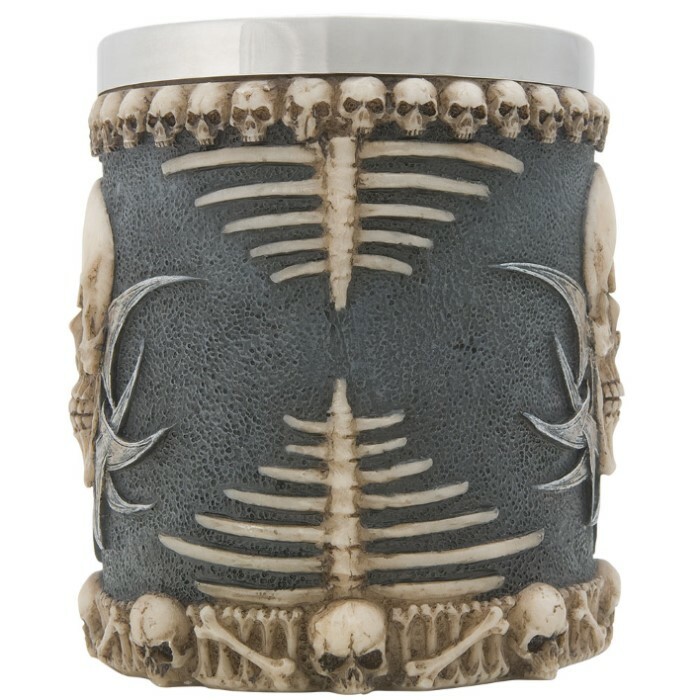 Made of cold cast resin.